Sam Cooke hah one of the smoothest voices in American music history. He began as a gospel artist, who was the lead singer of the Soul Stirrers. When he released a pop song, he was promptly fired by the group. Their loss was the mainstream American music scene’s gain. He would place 43 singles on the BILLBOARD Pop Chart and sell millions of albums. His first pop chart hit was also the only number one song of his career. Released in the fall of 1957, “You Send Me” topped all three of BILLBOARD’S Pop Charts. Best Sellers In Stores Charts – 12/2/57 – Two weeks at number one. Most Played By DJ’s Chart – 12/9/57 – One week at number one. Billboard Top 100 – 11/16/57 – Two weeks at number one. His life came to a tragic end, December 10, 1964, when he was shot to death by a hotel office manager. The courts ruled it was justifiable homicide. His legacy is that of an influential artist, who introduced a white audience to a new type of music. Sam Cooke, 1931-1964, was one of the seminal music figures of the 1950s and early 1960s. He was a black artist who continually crossed-over to the mainly white pop charts. He had 29 top 40 pop hits during his all to short career. He was also one of the originators of the soul sound, which influenced the generation of artists that followed him. He had a number of memorable hits. Songs such as “You Send Me,” “Chain Gang,” “Twisting The Night AWay,” and “I’ll Come Running Back To You” were some of the better singles of the pre-Beatles era. “Another Saturday Night” was released during March of 1963. It topped the BILLBOARD MAGAZINE Pop Singles Chart and reached number 10 on the Pop Chart. It was another smooth performance from Cooke and will still leave you wanting more. Sam Cooke had one of the smoothest voices in music history. He began as a gospel singer but went on to place 43 songs on the BILBOARD MAGAZINE Pop Singles Chart, 1957-1966. Who knows how many more would have followed had he not been shot and killed during December of 1964. He was inducted into the RocK And Roll Hall Of Fame during 1986. “Send Me Some Lovin'” may not have been one of his memorable songs but it was a hit nonetheless. It first reached the BILLBOARD Pop Chart during January of 1966 and peaked at number 13. The flip side, “Baby Baby Baby” also charted at number 66. Any of his Greatest Hits albums are still worth a listen today. 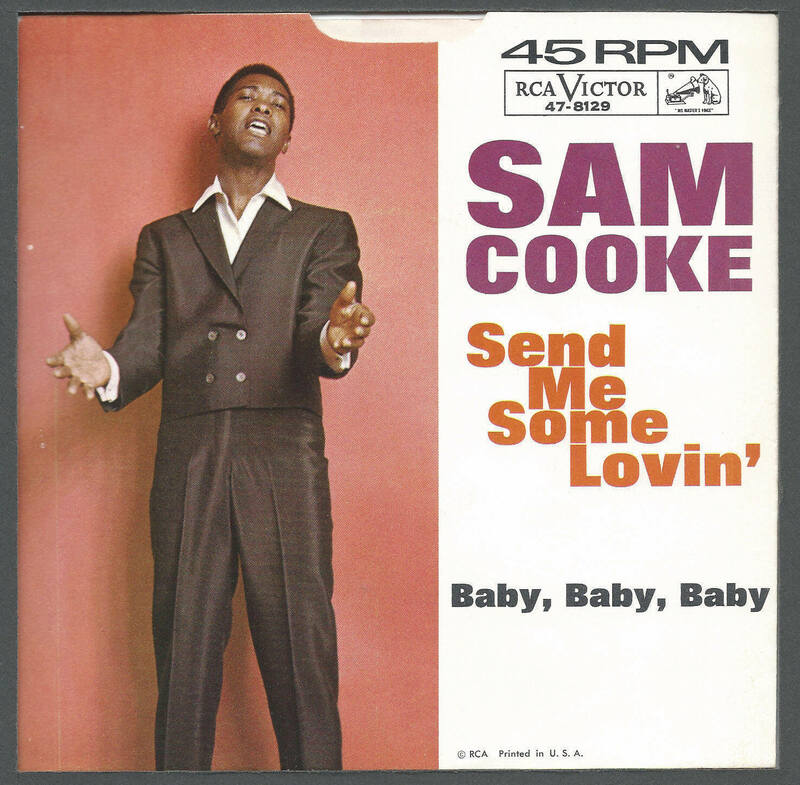 Sam Cooke is best remembered for his smooth soul releases such as “You Send Me” and “Chain Gang.” He began his career as a gospel singer and many of those recordings had a passion that was missing from his later work. Bob Dylan had written “Blowin’ In The Wind” and Sam Cooke decided to write a song in response. His performance of his “A Change Is Gonna Come” was a sermon in miniature. It fit right in with the civil rights movement of the day. Released as the B side of the hit single “Shake,” at the beginning of 1965, it would become a hit in its own right, reaching number 31 on the BILLBOARD MAGAZINE Pop Singles Chart. It remains one of the better single releases of his career. Sam Cooke was the son of a Baptist minister and the lead singer of the Soul Stirrers, 1950-1956. When he decided to release secular music as a solo artist his label promply fired him. He took “You Send Me” to Bob Keene of Keen Records, who wasn’t sure if it was a R&B hit, but was sure it would become a pop hit. He was right; released during late October of 1957, it would go on to top The BILLBOARD MAGAZINE Pop charts for three weeks and remained on the charts for 26 weeks. “You Send Me” is one of the smoothest vocal performances in music history. 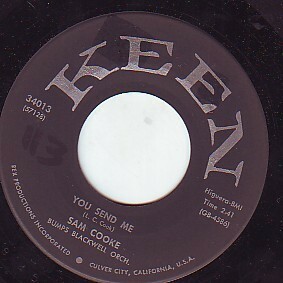 It would be the first of 43 chart singles for Cooke. His career and life would come to an abrupt end in a seedy hotel when he was shot and killed by the female manager under mysterious circumstances on December 11, 1964. “You Send Me’ remains his signature and best selling song. The Sony BMG Legacy vinyl reissue series has made the wise decision to return the classic Sam Cooke album, One Night Stand! Live At The Harlem Square Club, to vinyl. They even went the extra mile and issued it as a 180 gram vinyl audiophile recording. This means that the vinyl is heavier which enhances the sound quality. The overall clarity is easily equal to that of a CD. 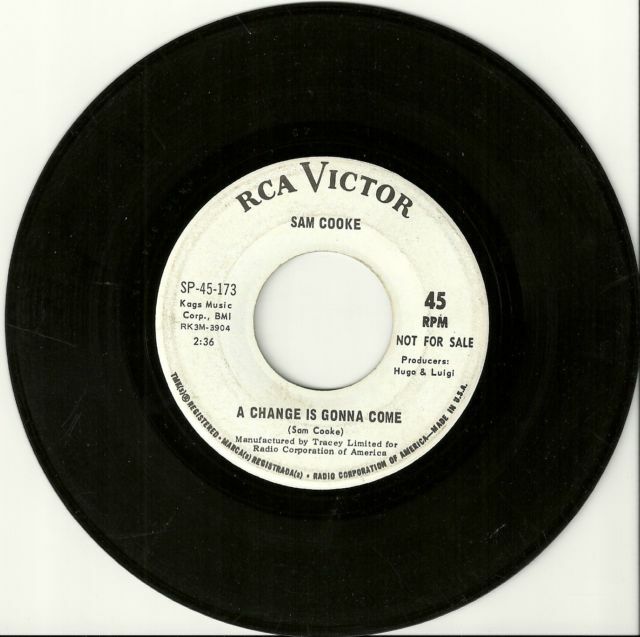 Sam Cooke was a member of the gospel group, The Soul Stirrers, before going solo. Beginning in 1957 he would have a string of crossover hits including “You Send Me,” “Chain Gang,” “Twistin’ The Night Away,” and “Another Saturday Night.” All told he would place 29 hits on the pop charts and many more on the rhythm and blues charts. He is primarily remembered for his smooth adult contemporary vocal sound that was very reminiscent to Nat King Cole at times. However, by the time this album was recorded he was changing into more of a classic R&B vocal artist. He had also learned to work an audience and this performance captures the energy of his late career concert style well. Sam Cooke would be shot and killed in December of 1964. This performance, recorded Jan. 12, 1963, was a fitting memorial to his memory and legacy. According to the poster that is pictured on the inner sleeve, the admission charge ranged from $1.50 all the way up to $2.50. The added bonus to this performance was King Curtis on saxophone who was touring with Cooke at the time. The album is short, less than 40 minutes, which was typical of the time, but what it lacks in length it makes up for in entertainment value. “Bring It On Home To Me” is a powerful vocal reminiscent of his gospel days. 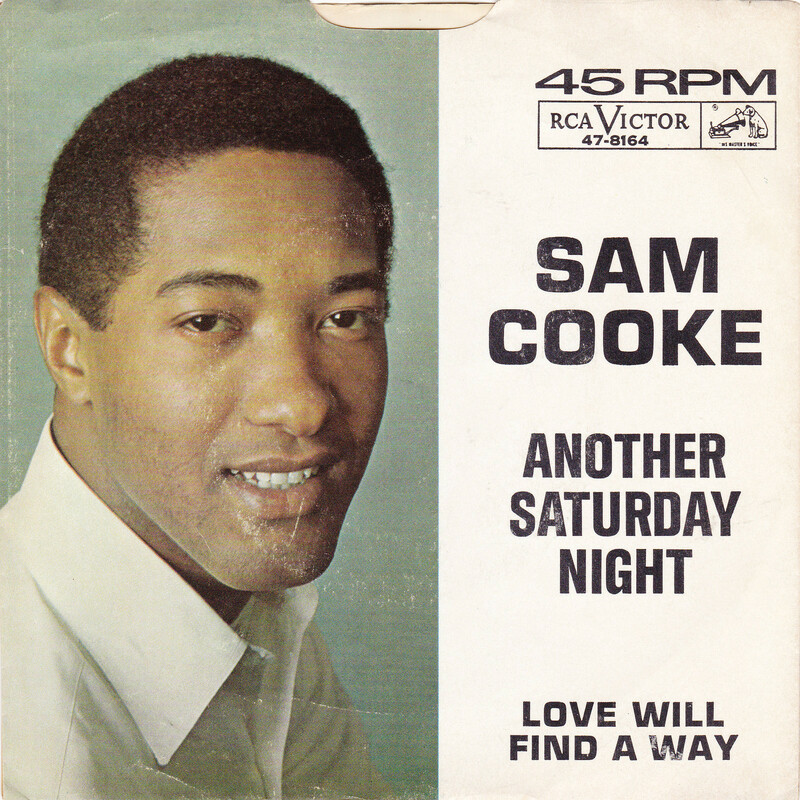 “Having A Party” and “Twistin’ The Night Away” are slightly longer versions than the original single releases which allow Cooke to improvise and interact with the audience. “Chain Gang” and “Cupid” are presented back to back and show just what a superior vocalist Sam Cooke was outside of the studio. One Night Stand! Live At The Harlem Square Club captures a great artist at the height of his powers. While I don’t think I have ever heard a bad Sam Cooke performance, this one is at the head of the class. So find a good turntable and give this wonderful album a listen in the format in which it was originally intended. You are currently browsing the archives for the Sam Cooke Reviews category.